It’s the season of “trans”. The beauty of trans seasonal Winter white outfits is that they bring the hope of Spring! Trade in your black for a day and opt instead for wool fabrics in light neutrals. You will be a breath of fresh air to everyone you meet. First the staples. Go ahead and start adding Winter white outfits to your cart. You can cover them up with a full-length coat or a plaid trench coat for now. When it gets warm enough to disrobe, you will be ready! Bust out some post-Labor Day anarchy and feel free to blame it on us. 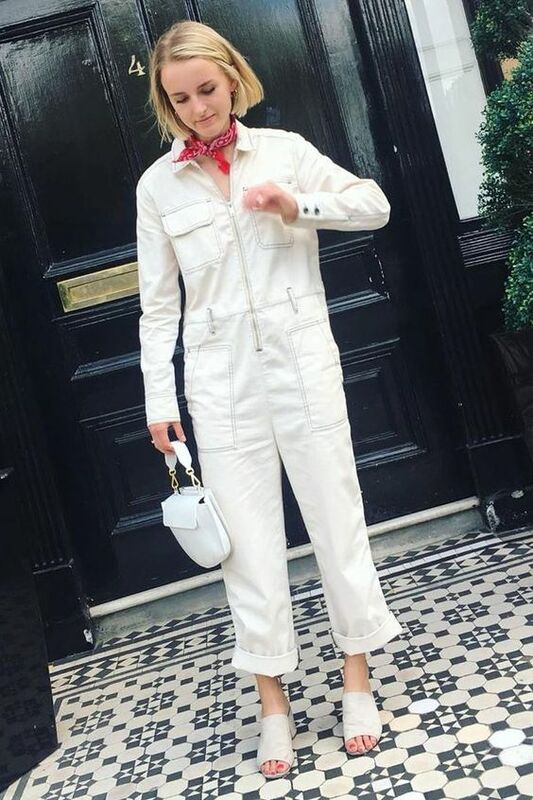 Another easy way to rock the all-white look is with a denim jumpsuit. A long-sleeved jumpsuit keeps your Winter white outfit easy and warm. Roll up the cuffs or sleeves as the temperature allows. We love this look with fun Winter accessories or a neck scarf. It’s so nice to soak up any sunshine that comes around. Another versatile way to incorporate the look is with an oversized cardigan. You can wear this into Spring when the office AC is cranking and you’re starting to feel chilly! A cropped cardigan with balloon sleeves looks amazing with high-waist pants or a midi skirt. Perfect work wear for the office-savvy sister. Music Alert! Here’s some techno via Carlo Ruetz that is perfect ambiance for that creative project you’re working on in your artist loft. Press “Listen in Browser” to play immediately. White tennis shoes are on trend and why stop there? 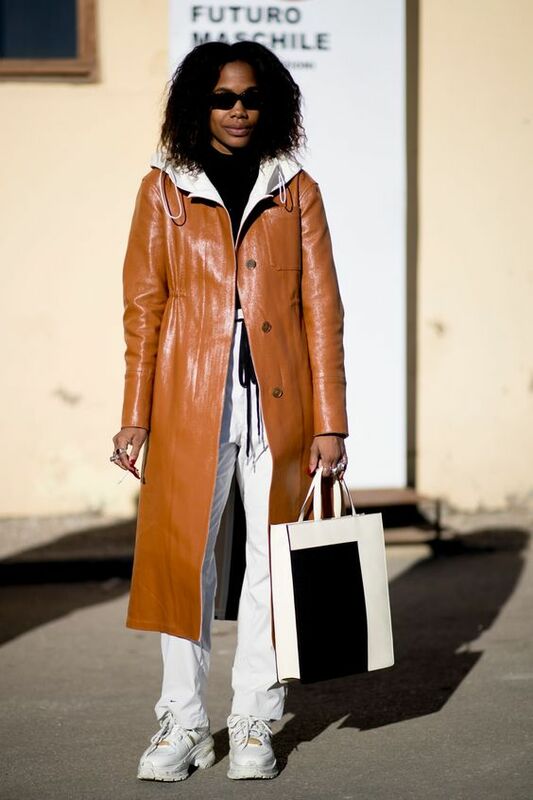 Top casual Winter white outfits with full-length coats in camel colors. Dark neutrals work seamlessly with white and let everyone know that you understand it’s still Winter. Casual white pants and a white sweatshirt or hoodie look so good running around town. Also, remember that white is ultimately a power color, so it works in the office as well. Getting ready for Spring also means dress time is around the corner. One of the best Winter white outfits that will transition easy is a vintage dress. Choose one with a modest neckline and long sleeves and find a way to make the day a little special. Tie your hair back with a thin, pretty ribbon and keep your jewelry minimal. Host an afternoon tea party and relax indoors where it’s cozy and warm. Spring will get here when it gets here. 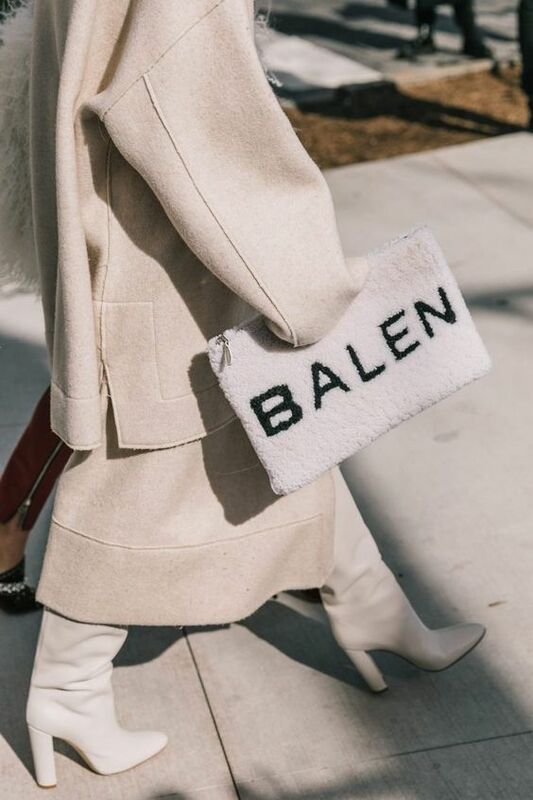 1,000 points for anyone carrying white top handle purses this season! Winter white outfits wouldn’t be complete without winter white accessories. Make sure you are wearing something that matches, like a simple white blouse so the bag makes sense. Layer with a posh fur coat for now and trade the coat in for a leather jacket later. See? We did all the hard work for you. We did a little color psychology on silver a while back and it’s interesting to note the effects color has on people. Winter white outfits can have the same peace-bringing effects as silver. White projects the additional feeling of new beginnings. If you’re looking for a clean slate or a fresh start, consider adding a little white into your day.